I thought that maybe I can make something really nice out of it for my first wallpaper submission! It is also the third wallpaper I ever made in my life! As for the other two wallpapers I made, it was years ago before I even got Photoshop and aren't so great... but hey! The wallpaper took me hours to make, especially on just thinking on how to fancy it up some more. I chose the name "Oblivion" at the fact that she looks alone and forgotten. I hope you all will like my wallpaper because I will be making more to improve my skills. Sorry, I made a slight change on it. Re-download it if you like this version better. Browse Disgaea Gallery: Recent | Popular. Wow, i'm crap at this style, it's waay out of my league :P Excellent vector bg, again wow! This is only your 3rd!?!?! uhm.... i wouldnt guess its you 3rd... its one of the very few walls where the "transparent character" concept actually works... keep up... i ll be looking forward to you next wall! nice wall! I liked the different layers, and the red transparancy near the left was pretty nice. Also i like the effects near the name of the Wall with the different layers of black and white. i awsume. very well done i hope you keep waking wallpapers :) your very talented!!!!! well have a nice day!!!! Oh my dear. I love red on black, but this is just taking it to the next level. ah just love how the black and red blend...and how you do created it...don't know , just like the result ^_^' nice work Ketsumi! keep it up! a wonderful piece of artwork indeed. 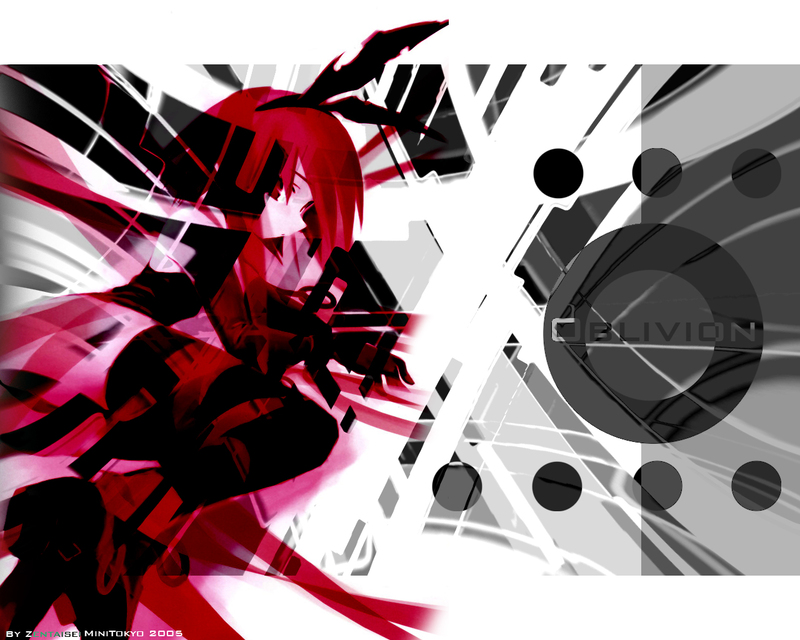 i am adding this fav, i should emulate you for my future works, you and i share so much in common but obviously you have much better skills in walling such abstract anime wallpapers, loved the oblivion circle at the sides, the wonderful filmstrip like shapes add extra character, wonderful! nice abstract! i lovin' it! Ya tengo mi proxima imagen para el escritorio, gran trabajo!